Here is a new illustration I created of a sweet goat 🐐 💜 I got to meet a couple of weeks ago on my birthday at Skylands Animal Sanctuary and Rescue. This farm animal sanctuary in Wantage, NJ was founded in 2014. I became aware of them when they rescued a cow that escaped a slaughterhouse in Queens. 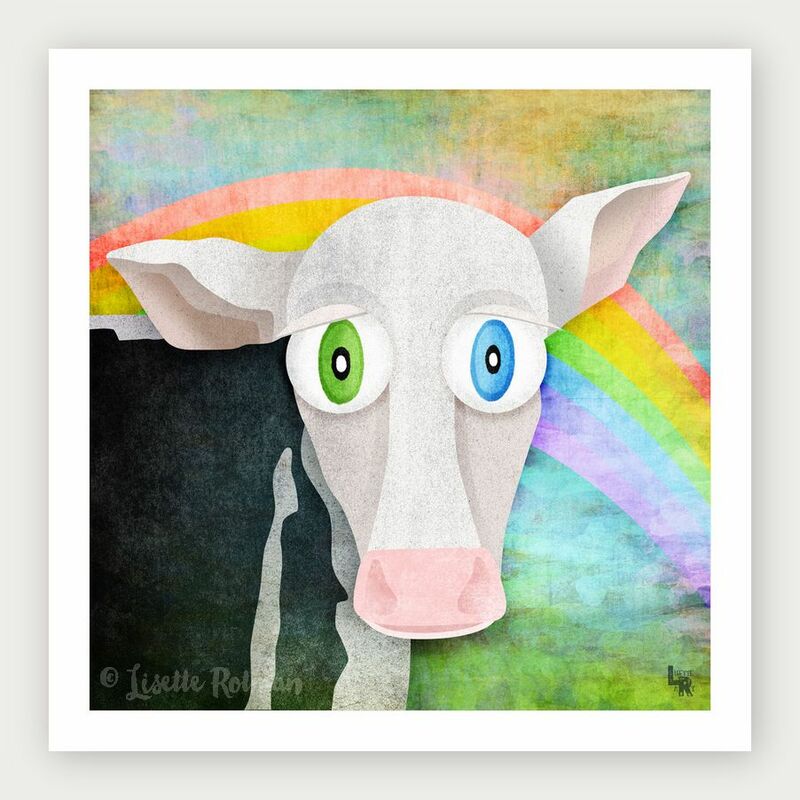 My illustration, “The Cow Who Freed Himself,” (also seen below) is about this cow, Freddie, and is the first illustration I created advocating for animal rights. Well, I finally got to visit the sanctuary and had an amazing time! I loved meeting the animals, seeing them cared for and respected, and hearing their stories. This drawing was done with micron and pigma graphic pens. I scanned in the drawing and then painted it and added textures in Photoshop. I plan to create a fully digital version of this illustration. *UPDATE: I’ve also added the full digital illustration version of “Happy Goat” below.